Irish Villagers complain viagra plant fumes have males walking around With 'hard-ons'. 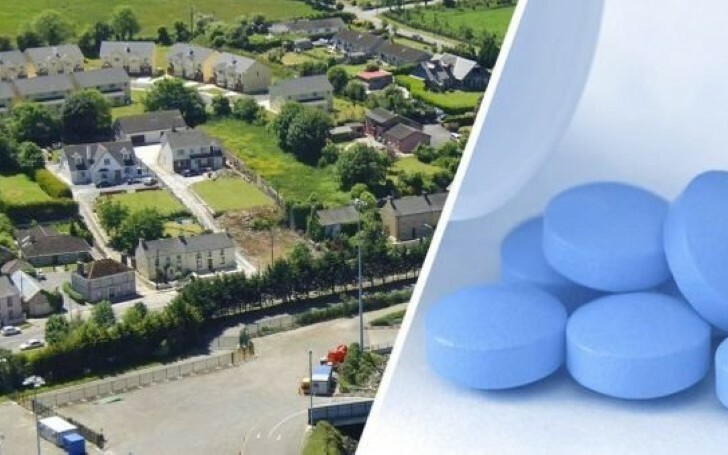 In a quite remarkable story, residents of a tiny Irish village where Viagra is manufactured are complaining fumes from a nearby factory are giving them a hard time, quite literally. For the last two decades, pharmaceutical firm Pfizer is producing the erectile dysfunction drug in Ringaskiddy, Co. Cork. Thanks to the close proximity of Ringaskiddy to the plant and its "love fumes", villagers claim local men and even man's best friends have been superpowered with sexual prowess. Viagra factory is turning men in this town into walking stiffs. Speaking to the Sunday Times, local bartender Barmaid Debbie O'Grady said, "One whiff and you’re stiff. We’ve been getting the love fumes for years now for free." Sadie O'Grady, Debbie's mother, likewise claimed it's, in fact, a blessing for men who suffer "problems in that department", adding that there is "something in the air". The widow continued: "I'm a flirtatious woman, a lot of us are. You just have to have a spark, that's all. There's a lovely man waiting down the road for me". Meanwhile, Pfizer said in a statement there were no hard feelings and the stiff whiff was nothing more than an "amusing" myth. The firm said, "Our manufacturing processes have always been highly sophisticated as well as highly regulated." Despite the company refuting the claim, residents are having none of it as they believe something sinister is going on. Psychiatric nurse Fiona Toomey recently returned to the village after five years in America. She claimed local dogs "walk around in a state of sexual excitement". "I think that Viagra must have got into the water supply," she added. "I’m convinced that’s what happened at the very beginning before they were so closely regulated."